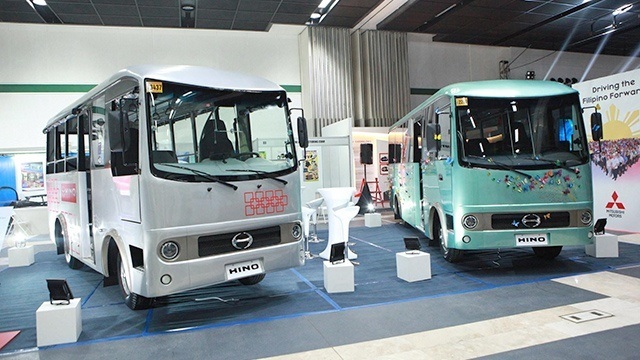 The demand for brand new trucks and buses instead of second-hand vehicles has helped spur growth in sales of commercial vehicles of Hino Motors Philippines Corp. (HMP), the exclusive distributor of Japan’s No. 1 brand of trucks and buses in the country. “We definitely improved our sales,” said Vicente T. Mills Jr., chairman of HMP. He revealed their compounded annual sales grew by 20 to 25 percent since 2010, or when the demand started to shift to brand new vehicles. 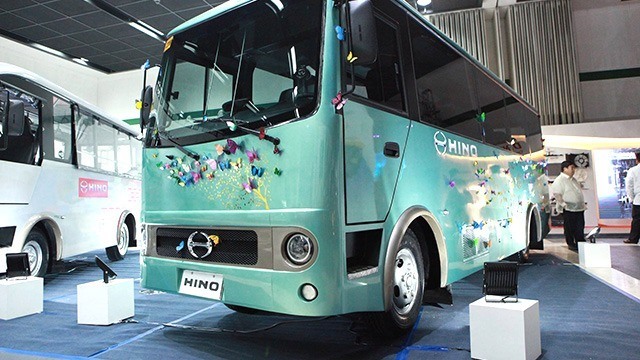 Amid the continued rise in demand for brand new vehicles, Hino Motors decided to launch a couple of prototypes for the government’s public utility vehicle (PUV) modernization program. The scheme aims to impose tougher emissions, safety and roadworthiness standards on public vehicles that could lead to the phase-out of thousands of old and non-compliant jeepneys. “We are launching two units [for the modernization program],” shared Mills. “All the secondhand [jeepney] imports are not Euro 4. They're Euro 1, Euro 2, Euro-0 pa nga 'yung mga lumang luma. They will not be able to register that,” Mills argued. In contrast, what HMP proposes as jeepney replacements are Euro 4-compliant vehicles called Hino Jeepney (Class 3) and Hino Jeepney (Class 2) NAC, which both look like mini buses. One has a seating capacity of 22 while the other has 28, and both have enough room inside for standing passengers. “Wala nang sabit sabit, it’s big enough, it’s convenient to pay because of that beep thing,” Mills added. HMP is the country’s second biggest manufacturer of trucks, buses and other commercial vehicles after Isuzu Philippines Corp., also a Japanese vehicle maker. Hino Motors has a 37 percent share of the local market for commercial vehicles with carrying capacity of at least 4,000 kilograms. Traditionally, Filipinos prefer imported second-hand vehicles because of the low purchase price. Mills explained that what people didn’t realize is that the running cost and maintenance of these vehicles can even exceed the initial value of the vehicle. “The reason they're so cheap is they cannot pass the emission standards in Japan,” he said. Mills said the shift in demand from second-hand to brand new vehicles started five to 10 years ago, as income started to grow and the economy gradually improved. This year alone, he said they were already able to sell around 4,000 units of trucks and buses, up 43 percent from 2,800 from last year. Last year, total sales commercial vehicles went up faster than passenger cars. While commercial vehicles sales rose 31 percent to 226,384 units, passenger car sales climbed only 14.4 percent. “People have been gradually buying newer trucks because people now are more thorough in their calculations,” Mills explained. He said even small entrepreneurs, who take up 30 to 40 percent of their market, have also started to buy brand new trucks because they are starting to realize that the higher first cost is nothing compared to the improvement they'll get over the life of the product. The company opened its 16th dealership branch in the country at the United Nations Avenue in Manila on October 12—the fifth branch in Metro Manila. HMP also recently opened dealership branches in Batangas, Cebu and Cagayan de Oro this year.